Carrier and Company is featured in the September issue of Elle Decor. It's a home I had posted before but there are lots of extra pics in the magazine. The outside of the home is phenomenal. 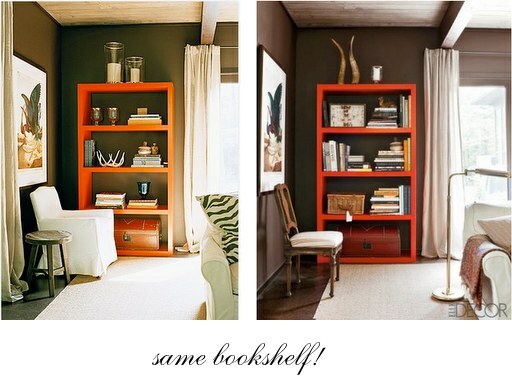 Another thing I noticed was the red ikea bookcase was styled differently. I think I like the first image better but ,hey, they both look great!